The alignment that occurs between Earth, the Sun and the Milky Way is magnified into a specific demarcation point in the timelines that separates the worlds, which begins another stage of mass soul transiting on the cusp moving from the constellation of Ophiuchus and into Sagittarius on December 18th. Many groups of souls and entities that have been in the lower dimensional planes of the earth for multiple millennia, are being transited out through the Galactic Window that forms as a result of the intersection between the Golden Gate and the Silver Gate meeting upon the Galactic Equator. As this wave of soul groups leave the lower dimensions of the earth realm, within the celestial structure that mirrors the planetary body from the heavens, the unified solar principle returns to our planet through the birth of new stars. The Galactic alignment this year brings the Mother’s Cosmic Aether to ignite Aqualeyon, the restoration between the Cosmic Mother and her Sun, which intensely animate the solar fire’s power of resurrection throughout the tenth stage of the alchemical laws. This alchemical law brings a massive amplification of the forces that are transmitting from the Golden Gate and the Silver Gate, which generates the merge between the liquid golden-silver plasma light transmitting from the Silver Gate of Man and the Golden Gate of the Gods. The ancients called this circuit path made around the galactic equator, the Gate of the Gods or The Golden Gate. The river of living waters from the Mothers Creatrix, Rainbow Krystal Waters, flow out from the throne of God and unify into the dimensional doorway of The Golden Gate, transmitting to our planet at the end of the Ascension Cycle. As a result there are powerful alchemical forces occurring within this week of the Winter Solstice between the Cosmic Mother Sophianic principle and her Solar Sun, which opens the ascension gateway that emphasizes recoding and healing for the masculine wound and feminine reversals, in order to unify both inner aspects. This week is a time of intense spiritual initiation, accretion and anchoring to prepare for new embodiment levels that recode the physical self to be congruent in the new time cycle. The macrocosm event reflects upon the microcosm of our personal lives. Thus, this may bring intense levels of transformation and transmutation of family of origin miasmatic patterns, shadow forces, energetic parasites and related dark entities that are being purged out of the earth body and the human body. This current cycle finalizes the bifurcation in time, between the type of matter formed on the third dimensional earth and the type of matter formed on the fifth dimensional earth. The easiest way to comprehend this is that the planet is shifting timelines into the next density that opens into future timelines, which exist in much higher dimensional spaces. The way the human mind directs intelligent consciousness energy to manifest into matter forms is forever changed on planet earth. The Separation of Worlds delineates the morphogenetic blueprint barrier between first density creations in the third dimension, and second density creations in the fifth dimension and above. There is a bifurcation in the planetary field between creations or bodies formed in the third dimensional frequencies in telluric matter, and those creations and bodies formed above those frequencies. Essentially, there is a frequency split occurring at the subatomic level of the blueprint of consciousness that is inherently connected to everything in creation. There are groups of humans that are connected to a third dimensional morphogenetic blueprint, and there are groups of humans connected to a fifth dimensional morphogenetic blueprint. Further, the first Ascension waves of Starseeds and Indigos are holding a blueprint beyond the fifth dimension where the GSF timelines for full liberation of consciousness exist. Starseed groups are also holding both the Galactic shield and Christos shield for the earth, as she undergoes the current phase of the Separation of Worlds occurring at the subatomic level. The core manifestation template or blueprint is what genetically expresses our DNA into matter, creates human bodies and projects holographic realities. The frequency split is delineated by what is being created organically in consciousness, by what embodies or holds spirit, by the vibrational quality of the mind that created it, by what dimensional laws of structure it is subjected to, and by whether artificial intelligence is being used. On the Ascension path, we will be asking the question, “Is the consciousness that created these blueprints an organic living consciousness or is it an inorganic artificial intelligence software projecting out these holograms?” We are entering a whole new world in the way types of matter are being formed. With pure intention and pure heart, we must access Krystal clear intention through all things that we co-create with God Spirit, in order to manifest from the higher dimensions with personal responsibility, higher purpose and energetic balance. Accumulated miasma patterns are inherited from both patriarchal and matriarchal lines. In the beginning Ascension Stages, as an initiate for Soul Accretion, the person will start to notice the energetic connections of ancestral lines inherited through our biological family lines. When we can recognize these patterns we are seeing the genetic miasma that sources directly from the histories of the bloodline and family of origin. As we become more conscious on the ascending path, we experience and become aware of how miasma has direct influences upon our person. It impacts everything in our life, and influences what manifests in our holographic reality, until we become aware of it and choose to clear and transcend its influences. We call the spiritual path of conscious participation with clearing Family of Origin miasma, Genetic Pathcutting. During this end year phase, clearing out ancestral miasma from the family of origin genetic lines is emphasized, and may bring about intense energetic and emotional processing with intense physical ascension flu symptoms. When we awaken, we need to decide what we want to energetically wear as our personal responsibility, as everything we inherit in our family and the collective human race does not have to become a part of our self-defined identity. As we observe and take responsibility for what we are inhabiting, the content that is recorded in the cells of our fleshly body, and we are accountable to our current life circumstances, then we can participate with healing our genetic and miasmatic relationships that reside as energetic memory in our flesh. 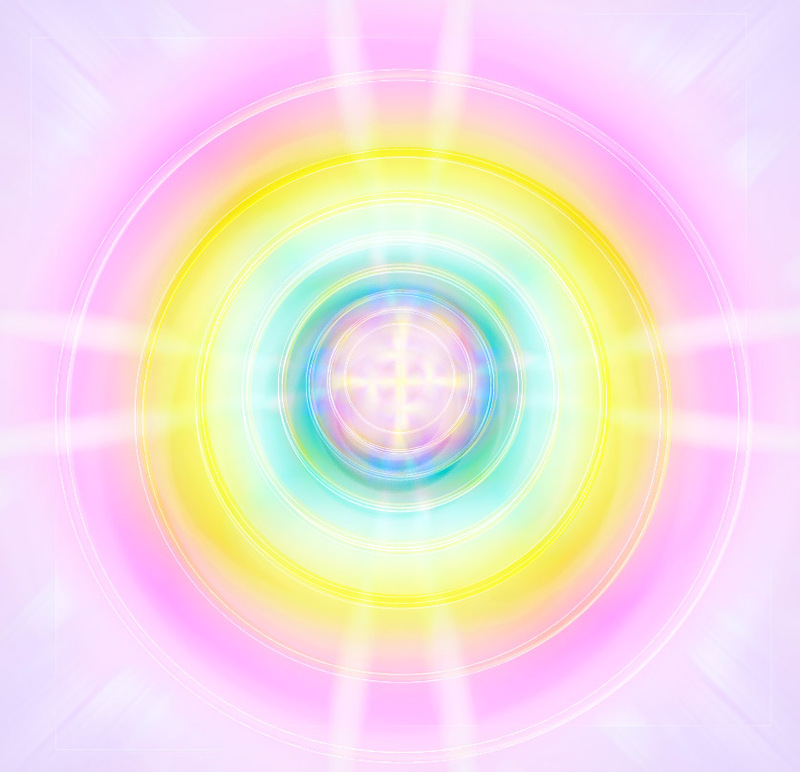 In most cases if you pay attention to the various archetypal ancestral patterns, such as attitudes, ideals, emotional intelligence, and archetypes in your current bio-family dynamic, you will know these archetypal patterns extend into other lifetimes, as well as hold relevant information and clues to what you agreed to heal while you incarnated on planet earth during the Ascension Cycle. Further, the Separation of Worlds is splitting apart the subatomic energetic fields that have been created between the inorganic frequencies and organic living light consciousness. The separation is occurring between the dead energy miasma that is projected out by the NAA through the use of AI military machinery, and the organic living consciousness bodies that exist in the higher dimensions of future timelines. The quality and kind of consciousness organic or inorganic AI, that is being directed into blueprints to create something in the planetary hologram, is what determines the level of its frequency when it materializes. The frequency level of these forms is what attracts people of matched frequency to share that same timeline, and be connected to that structure in time, which creates a corresponding reality bubble. The type and quality of subatomic units that form the blueprint create the design of that body. The subatomic units decide what dimensional law governs how that body is projected into the planetary hologram. Many of the entities that exist within the earth plane are made of different subatomic units, thus they cannot be perceived by most humans in matter. At each station of identity, whether human or nonhuman, that being exists in a particular dimension of time and space, and its body-form changes at the subatomic level based on its location. However, that body-form projection and its timeline can be artificially created and replicated by machinery at the subatomic level to force it to be somewhere else. The NAA are attempting to use technologies at the subatomic scale to accomplish their goal of creating artificial timelines for their Transhumanism and hybridization projects. With artificial timelines, they can clone or replicate DNA or soul capture images and then project them into a specific location by matching the frequency of their target at the subatomic scale. Further, they are attempting to stuff entities with different subatomic units into human bodies, using mostly those being hybridized with technology or running predominately artificial frequencies. With energetic discernment, this can be easily sensed or felt. When body-forms are replicated at subatomic levels they are extremely low frequency, with no heart, compassion or empathy. In whatever form that body takes, it will feel artificial, dead and lifeless. Stay in your compassionate and loving heart, protect your body and rest, and be very careful this week with where you place your energy and attention. Thank you to all who are actively participating with the consciousness shift into the next density.